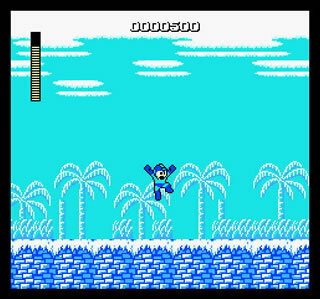 Mega Man has gained immense popularity with seven different series of Mega Man since 1987. Not only games but multiple TV series with comic books and manga books which is far more then the Italian plumber ever achieved. Even though Mario is a better known name, if you compare the amount of games of merchandise, Mega Man is winning. Now, my first Mega Man game Mega Man Battle Network in my dentist’s office so I am by no means a long term fan, though after doing some research along with some game time with the original Mega Man, I got some time to appreciate the series. Mega Man did not start out as a kid controller Mega Man in some weird warped form of the internet. No, it was not nearly as complicated. Actually, the very plot line is hard to find. At first look, you’re not going to find much story. You are power man and have six mighty foes to destroy. This is no arena game, oh no, you’ll have plenty of annoying minions of each foe. You’ll notice that each foe has one of two different styles. Foes such as the Fireman will initially have more environment challenges while Iceman will have more combat challenges. These combat challenges are not a muffin walking sideways nor is it a barrel. These minions differ but all pose a challenge. The minions are much more complex, such as the robots at the beginning of the Iceman world where after the initial destruction, you see that all you have done is destroyed there legs and created a much more annoying flying robot. You will have to shoot when they glide low or jump and shoot before they get a chance to hit you. They cannot be avoided by just jumping over them and running ahead. I only completed the Iceman stage and just looked at the beginning of the rest so perhaps the rest would have given some story but I ended up looking it up. So, Mega Man does in fact pose a challenge, much more so then Donkey Kong and Super Mario Bros. and has better game play, in opinion I suppose. So, since we see Mega Man as a platform game with shooting, why did it grow so much? What is so special that people were willing to pay to play? Well, at its time, it was unique. It was a much larger game then the popular Super Mario Bros. Mario was a straight line of breaking into castle and finding mushrooms dressed as princesses while Mega Man gave the player a choice of which they want to play and in what order. Plus, in Mega Man we gained different abilities after defeating a boss to use for future game play. So, going through all the levels gave players a reason to fight tooth and nail so at the end we have an amazingly powerful Mega Man. So, with all the different levels and being allowed to choose which level to play and unlocking abilities, all these things gave Mega Man massive replay ability. Mega Man can be hard and challenging sometimes and the game does encourage defeating some bosses before others but you’re not forced. 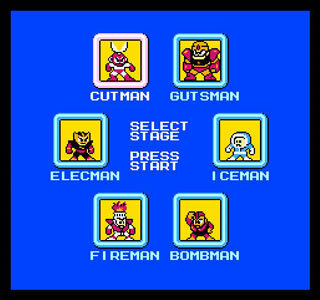 So to tackle Fireman before Iceman would be more of a challenge but hey, a challenging game is a good thing. So these minor things are easily overlooked. In the end, I would recommend Mega Man to any retrogamer.